Peggy Porschen is a leading bespoke cake company based in Belgravia, London. Founded in 2003, the company is headed by award-winning cake designer and Creative Director Peggy Porschen and her husband Bryn Morrow, Managing Director. The company decided to corporate with Ecommage in 2012 to build their retail website from scratch using Magento Community because of its robust feature set, flexibility and active community. 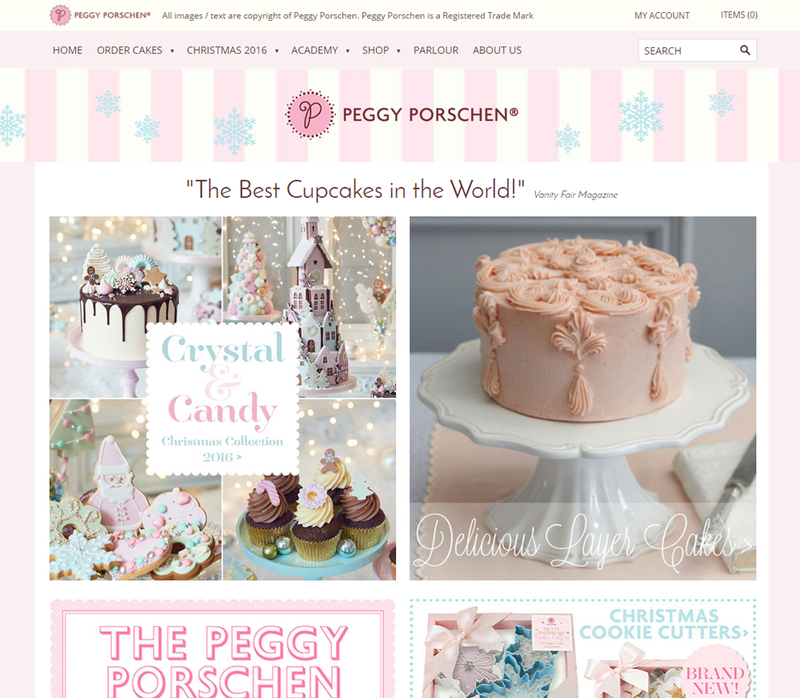 Site optimization: Speed optimize and maintenances..
With massive growth since launch, Peggy Porschen has acquired an enviable client list including many celebrities, Royals and members of high society. The product have graced many A-list events such as the 2011 wedding of Kate Moss and Jamie Hince, Elton John’s White Tie & Tiara Ball, Stella McCartney’s wedding, Sir Anthony Hopkins’ 70th birthday, Damien Hirst’s auction at Sotheby’s and parties for Sting and Trudie Styler, Madonna and Gwyneth Paltrow. 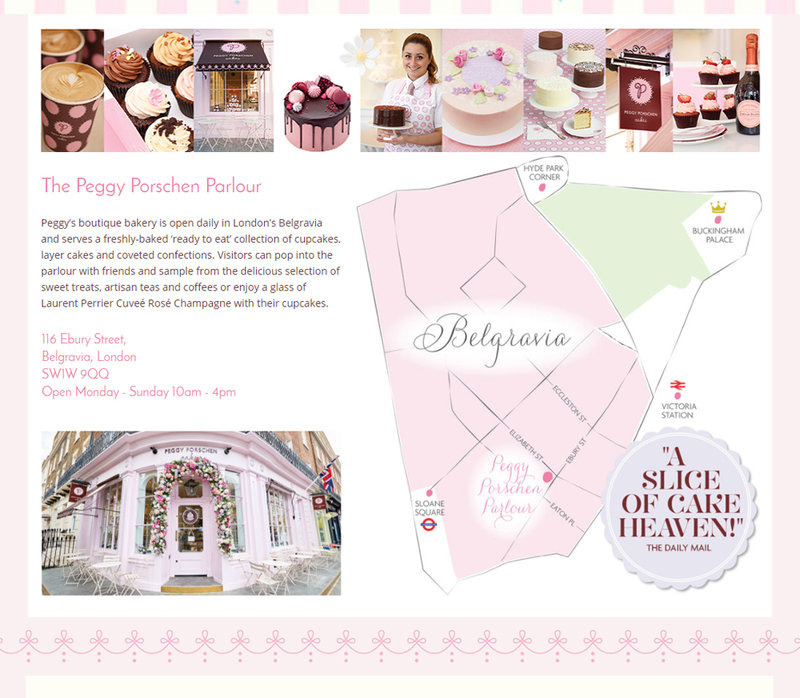 Peggy Porschen also opened the first Cake academy in London in 2011.